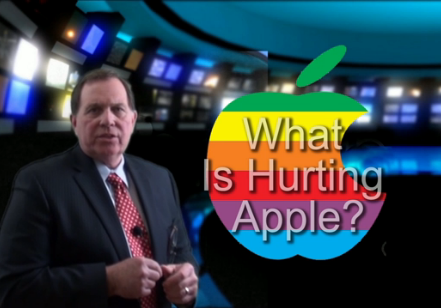 Subject: Is Apple's "Next Big Thing" Vaporware? Mind-control technology, vision-enabled devices, robotic cars and motion-controlled gadgets. These are where some of the tech titans have set their sights. Its big promises beyond Apple TV and a new iPhone are beginning to sound a lot like vaporware. Apple stock was up nearly 2% by noon today (Tuesday) - but this could be the end of gains for a while depending on what happens this afternoon. Undeniably the most anticipated earnings report of the season is the Apple earnings report, due out after the close Tuesday. Expectations are for a downright dismal quarter. iPhones: Apple generated some $22.7 billion from the sale of 35 million iPhones in the same quarter a year ago. Investors will want to hear how much competition from other smartphone markers, like Samsung, has chipped away at those numbers. iPads: Apple sold 11.8 million iPads that generated $6.6 billion in sales over the same period a year earlier. With the bevy of new and cheaper tablets now on the market, it is unlikely Apple has been able to maintain those robust sales. Gross Margins: Gross margins peaked at an astounding 47.4% during this quarter last year. Apple's warning last October that margins could drop as low as 38% was the catalyst behind the stock's steep plunge. In January, Apple said profits should come in around 37.5% to 38.5%. These numbers are crucial. Revenue and Profit: Last year, Apple earned $12.30 a share on revenue of $39.2 billion. Estimates are for $10.12 a share on revenue of $42.6 billion. Even the slightest miss could wallop shares. Guidance: Most importantly will be what the company says about future quarters. Analysts expect Apple to guide lower, at least for the next couple of quarters. 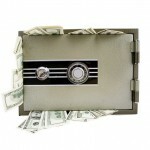 Of particular interest will be what Apple plans to do with its hefty $157 billion cash stash. A special or increased dividend and a bigger share buyback could provide a temporary boost to the stock. But any gains are likely to be short lived. "People have to be patient. The next quarter will be disastrous and the quarter after that stock will only go in one direction and that is down," Trip Chowdhry, co-founder of Global Equities Research told CNBC. 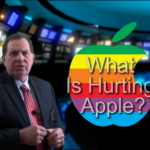 If Apple Inc. (Nasdaq: AAPL) actually does what many now expect - raise the Apple stock dividend as much as 56% - it could help inspire a trend of givebacks by other cash-rich companies. Looking at the company's cash hoard of $137 billion - which could reach $170 billion by year's end - a survey of analysts conducted by Bloomberg News this week concluded that an Apple stock dividend hike of $4.14 a share is a likely possibility.